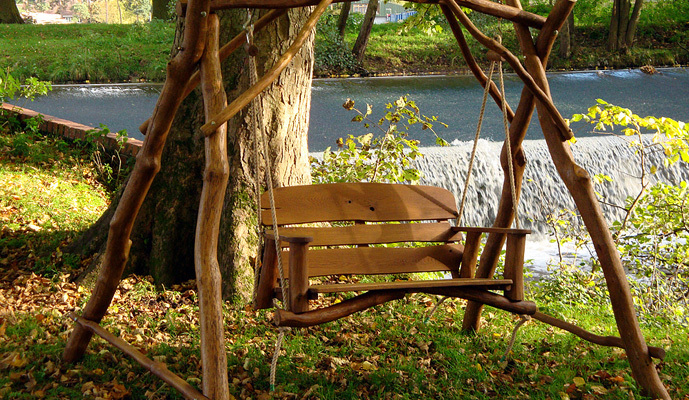 As children it seems most of us had some kind of fascination with swings in the park and an affinity with swing seats in the garden.It appears to be fair for most of us that fascination still remains and is never far away when it comes to garden bench swings. We are happy to report the fascination we had as children can be quenched thanks to garden swing seats being a real popular favourite nowadays once again. As an adult, a garden swing seat is a great place to sit and take a break from the gardening or the everyday occurrences that go on around us. These classic pieces of garden furniture offer the ability to lose ourselves somewhere for a little while especially if they are sighted out of the way somewhere in a corner of the garden, for example. What could be better than to sit back and relax or simply curl up on your own and release the tension of the day whilst you enjoy the sun and your outside space. If entertaining is your thing, a swing seat on the patio is ideal for relaxing on a summers evening sipping on a cool, quenching pre-dinner drink with family or friends, whilst waiting for an al fresco dinner from the barbecue. With a variety of shapes and sizes, from a simple two-seater free standing type, for a more intimate experience, such as the Bengal Swing Seat complete with a canopy to protect you from the sun’s rays through to a more contemporary design such as the Glider chair which offers a drinks holder in between the seats, and a locking system which will lock the chair to stop the rock, the choice is limited only by your imagination. Stylish, versatile, and suitable for two or three adults, a Teak swing seat will enhance any garden or outdoor living space. They make such a wonderfully lavish addition to your garden for those lazy days, they are capable of bringing you enjoyment all summer long. Indeed they are an absolute must if you take your relaxation seriously and enjoy spending time in the garden. Swing Benches made from teak can offer something unusual and a little luxurious. They will offer many years of service to you and are the perfect seat to spend a summer's afternoon on. Whichever design you settle on, they all make a fantastic fun addition to your garden area and will certainly be memorable for the next generation to take into their adult lives.